The great capacity of iPod Touch 3G would be revealed to you with untethered jailbreak on its iOS 5.1.1 so get ready to enjoy your device without any forced limitation. To avoid the possible loss of Camera Roll make a backup of iPod Touch 3G in iTunes. The steps given below guide you to do untethered jailbreak. 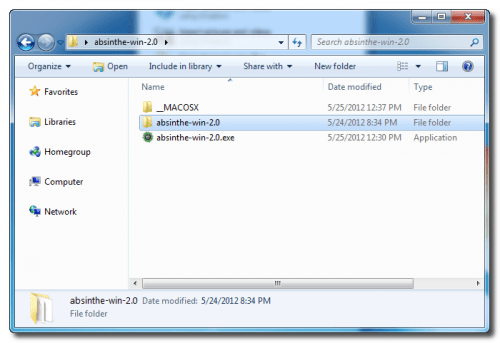 To download the latest version of Absinthe for Untethered Jailbreak click the link given below. 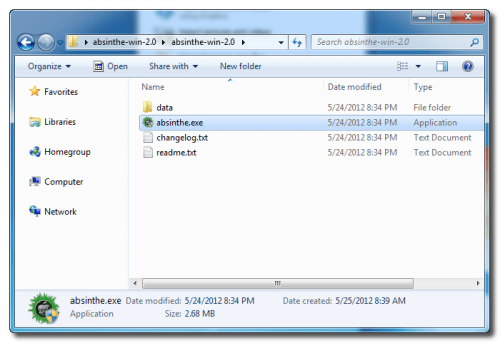 Unzip the folder to take out the downloaded archive. Click twice on absinthe-win-2.0. exe, the file you will find in the folder extracted few moments ago. 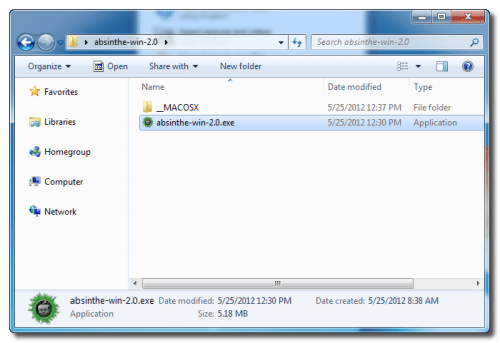 Another folder would appear before you on the screen with the name of absinthe-win-2.0. Now to launch absinthe.exe open that new folder. Now you are directed to connect your iPod Touch3G with computer by a USB. It is obligatory to remove VPN setting and passcodes that you have set. Click on the Jailbreak to start iPod Touch3G Jailbreak. A number of phases take you to the completion of jail break process. On Completion of Jailbreak iPod Touch3G you will be informed accordingly. 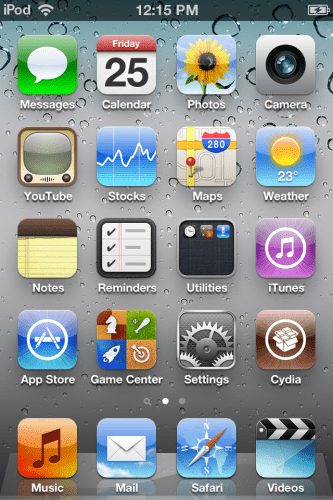 The appearance of Cydia on the springboard of your iPod Touch3G assures you that you can enjoy the liberty of Jailbreak. *You can repeat the jailbreak process if you find any impairment in it. Always make a backup to restart the process. This entry was posted in Absinthe, iOS 5.1.1, iPod Touch3G, Jailbreak and tagged Absinthe, iOS 5.1.1, iPod Touch3G, Jailbreak by Admin. Bookmark the permalink.